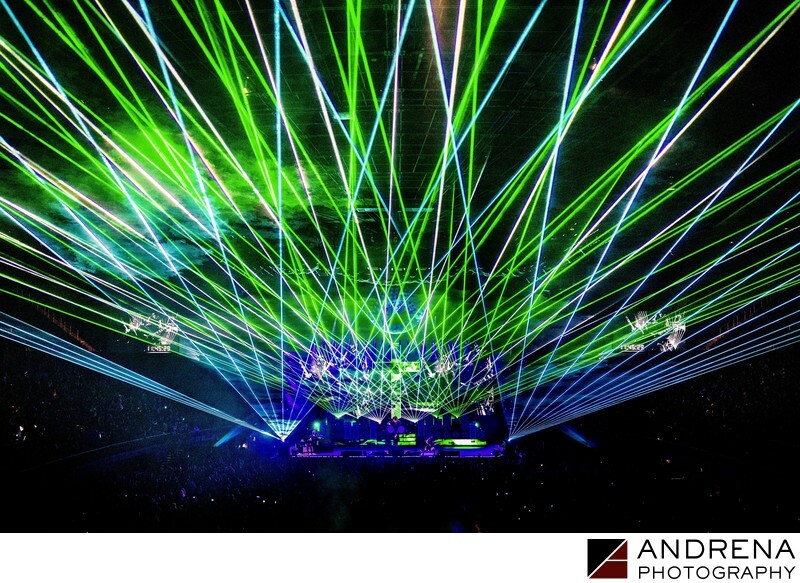 ER Productions has a reputation for producing some of the most complex and beautiful laser show displays for concerts and events worldwide, and we were thrilled to be charged with the photography of their work during Ozzy Osbourne's performance during the Ozzfest concert on New Year's Eve 2018 at The Forum in Los Angeles. Photographing lasers is no easy task, as it requires both fast and slow shutter speeds, photographing from multiple positions, hammering the shutter and quick thinking when you don't have time to check exposures. Laser displays at concerts change so fast that photographers have to be technically skilled to ensure they don't miss anything. ER Productions provided an incredibly professional and skilled team to ensure that every laser display and special effect went off without a hitch, and the sold-out crowd thrilled to Ozzy's incredible performance backed by this amazing light display.